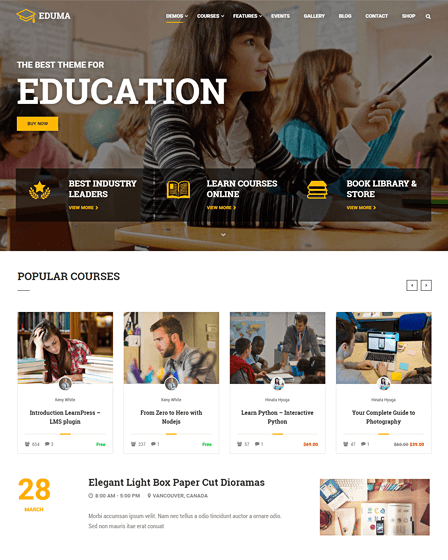 iBusiness is an advanced WordPress theme that is majorly used by professionals for creating a business website. It lets you create a personalized website in few minutes & incorporates various important tools like Visual Composer, WYSIWYG editor, and many more. This business WordPress theme is fully responsive & comes with simple customization suited for business websites to showcase their work on a neat portfolio site. 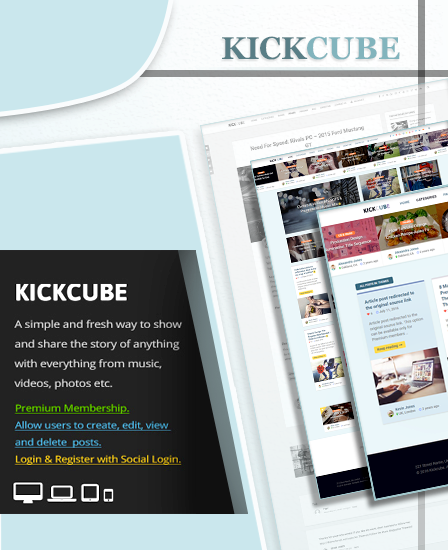 This business WordPress theme provides with more than a dozen designs of components in the form of blocks. Each block is provided with sample data for easy customization. 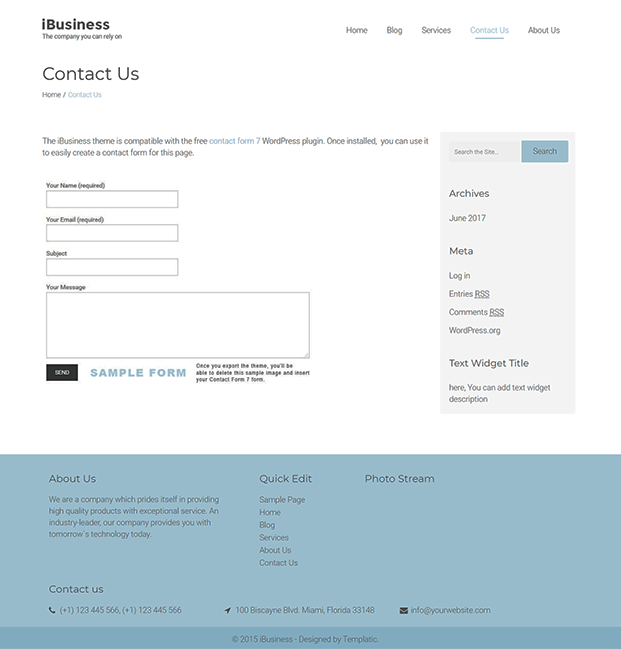 WordPress Business theme has a built-in Visual Composer, that allows you to build web pages of your site with just a drag and drop interface. In fact, you will be able to see the customization process in real time. 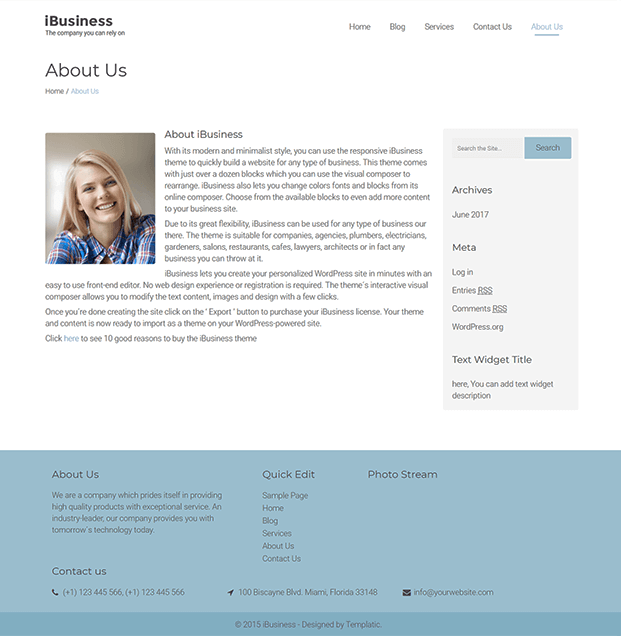 This WordPress business theme comes with a responsive design which means the website adjusts its size automatically depending on the screen size. 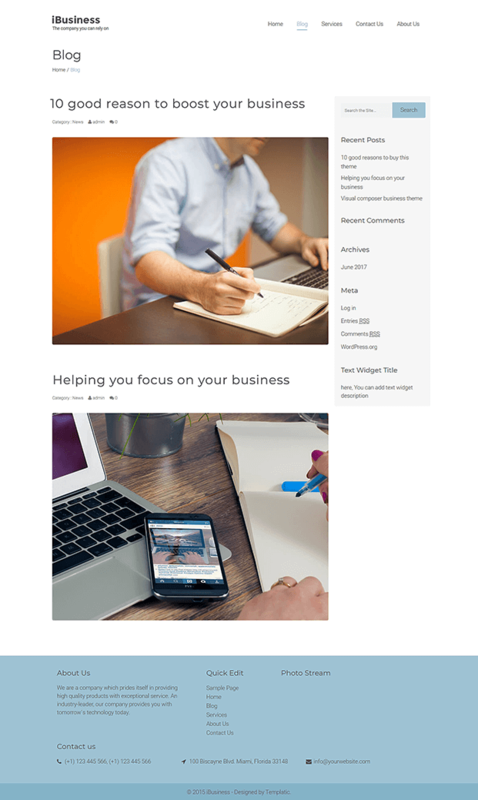 WordPress theme for business provides automatic adjustment of the uploaded image & fits the images accordingly. 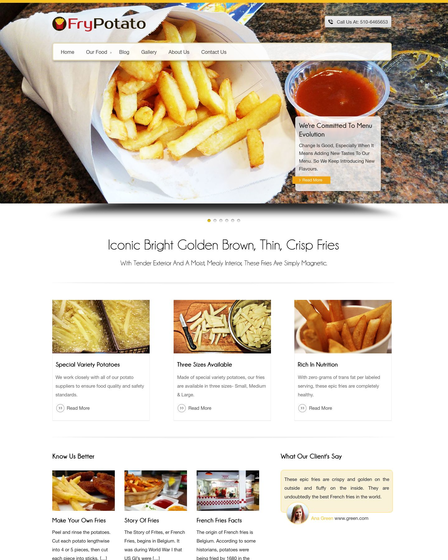 This WordPress theme comes with advanced newsletter option with the help of popular services like MailChimp, Feedburner, FeedBlitz etc. which are used for collecting the mails from the visitors who might want to sponsor or contact you. The theme provides you with an animated gallery with beautiful effects which helps you to display your recent photos or different posts in an attractive manner. This theme comes with a very impressive reset option which can be used to start the editing work all over again to avoid errors & save time. This feature of the business theme increases your chances of being found by the search engines. 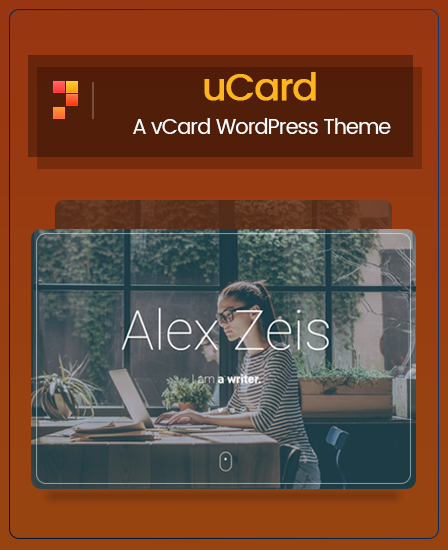 This theme is also integrated with all the leading WordPress SEO plugins, giving you lots of options to rank your website on the top. 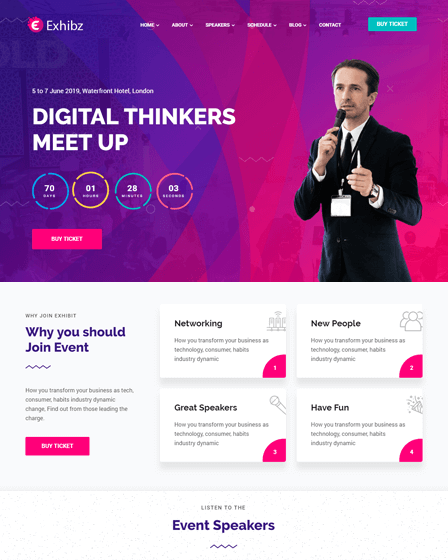 The theme comes with WooCommerce compatibility that means you can transform your business website into an e-commerce platform where you can sell both physical and digital goods. iBusiness comes with multi-language support that means your website can be showcased in multiple languages by installing translators from WordPress plugins. $69 – One site and one domain with a lifetime usage license. $89 – Five sites and install up to 5 domain with a lifetime usage license.